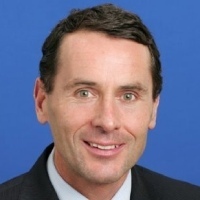 Citigroup chief technology officer Craig Bright will take the place of Westpac current chief information officer Dave Curran, who will resign at the beginning of next year. Westpac announced in a statement this morning that outgoing chief information officer Mr Curran would be replaced by Mr Bright in January. Mr Curran has been in the role since 2014 and played a key part in Westpac’s shift to digitalise, the statement said. Mr Hartzer added that Mr Curran had also influenced the big bank’s culture, creating a more “agile” way of working, as well as advocating to address the technology skills shortage and the gender imbalance. Mr Bright’s career in technology, financial services, banking and consulting spans Melbourne, London and New York. He is currently the chief technology officer of global consumer banking at Citi, based in New York. Prior to that, Mr Bright was managing director of global consumer infrastructure and head of North America for over five years. He has also held senior and c-suite level roles at Barclays and National Australia Bank, and he was at Ernst & Young Consulting for nearly 7 years (1993–2000), departing as a principal. Mr Hartzer said Mr Bright would bring his skills and expertise to the role and said he was “delighted” he would be joining Westpac. Mr Bright begins at Westpac in December 2018. Mr Curran will retire as chief information officer at the end of January 2019, but will remain on the board of Westpac Bicentennial Foundation.